Optimize your workflows to save more time for other valuable tasks like increasing revenue and spending more time with customers. 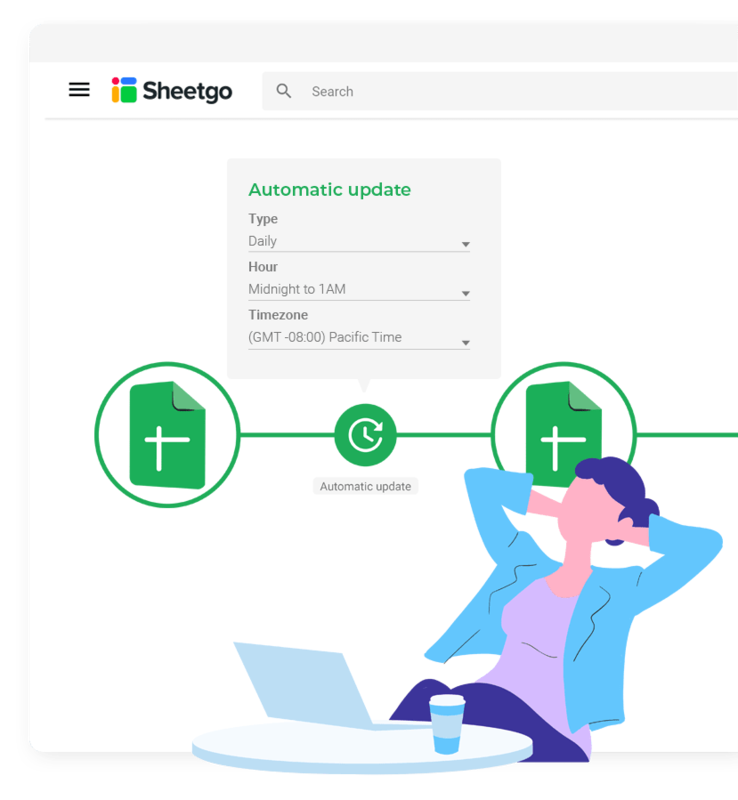 Create automated workflows by connecting data in spreadsheets and enabling Sheetgo’s automatic updates. Make your spreadsheets talk to each other! 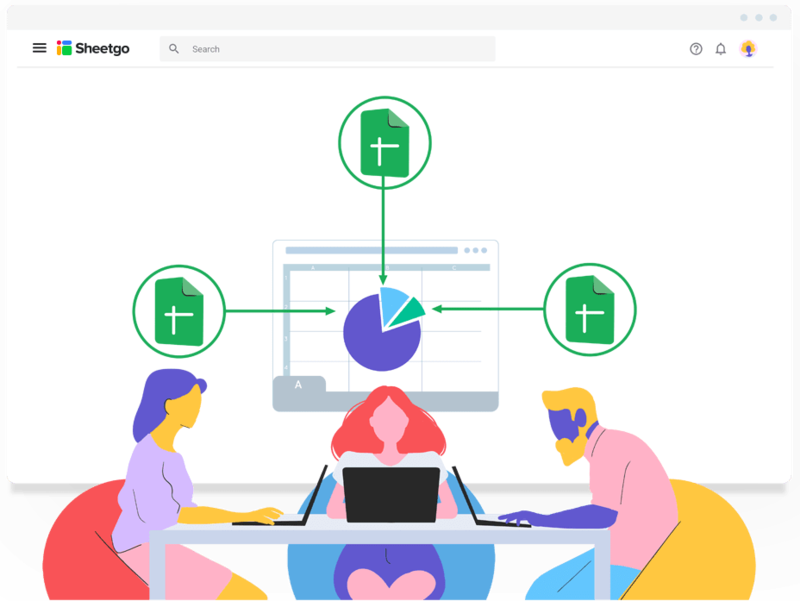 If you work with data that changes over time and you need a tool that allows you to track that data, use Sheetgo´s append feature to do the work! Import data from multiple spreadsheets into a single spreadsheet tab. You can easily manage thousands of data points into one place. Spend your time focused on other value-added tasks. 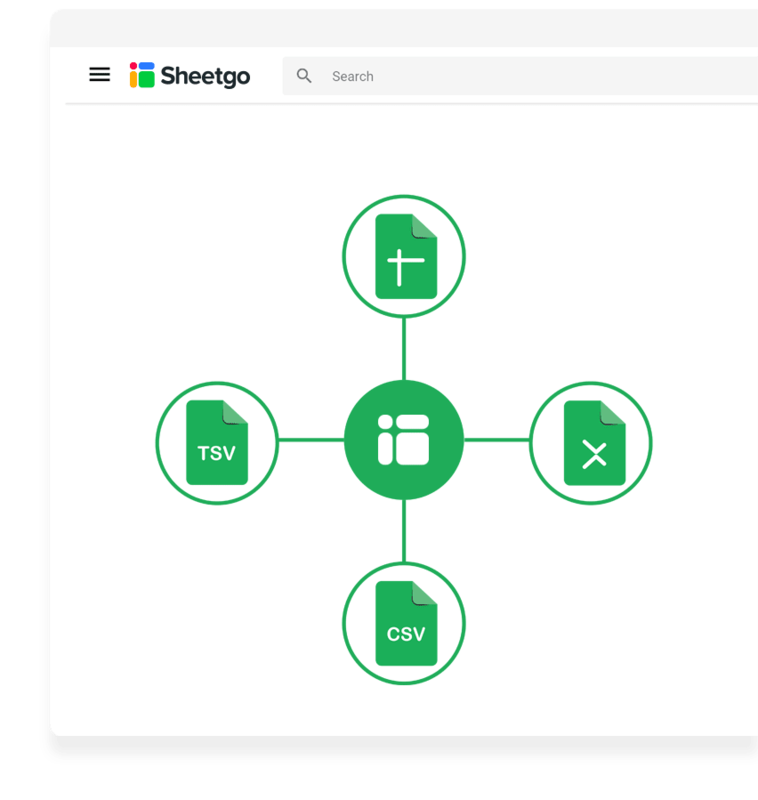 With Sheetgo you can connect data from spreadsheets of different file types, like Excel, Google Sheets, OpenOffice, CSV, and TSV. Fully integrated with Google Drive. When connecting and transferring data between spreadsheets you likely don’t need to transfer all of the data. With the Filter, you can transfer only the data that you need. Sometimes less is more! Your spreadsheet workflows made easy. What spreadsheets will you connect?